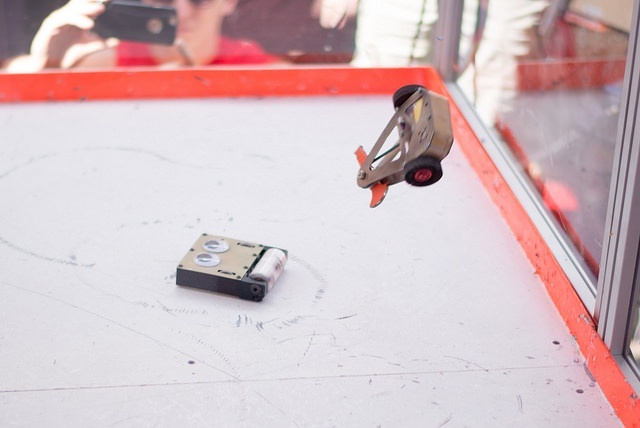 At this year's SparkFun Autonomous Vehicle Competition we are expanding combat! More weight classes, more destruction! We have always wanted to encourage new people to give combat robots a try, but sometimes the thought of total destruction can be intimidating. Our new Plastic Antweight division offers a fun, nonthreatening way to start! The concept is to build the entire robot from plastics or 3D-printed materials. This shortens the build cycle, as you don't need a machine shop — just some hand tools and a 3D printer. If something breaks? Print a new part! The battle rules are the same; it just needs to be 100 percent plastic (excepting motors, batteries, controllers, connectors, switches, nuts, bolts, bearings, axles and anything else needed to make your robot move). Western Allied Robotics has a simple, straightforward ruleset to follow that essentially says nonplastic parts cannot be used to enhance the robot's structure, weapons or armor. This weight class is going to be focused toward K–12 teams and teams that just want to have fun. Bring something fun or wacky but I, CaseyTheRobot, have sole discretion to see if your FEA-optimized, built by rocket scientists with hand-selected filament, tested by fighter pilots robots should be competing with the rest of the FEA-optimized, built by rocket scientists with hand-selected filament, tested by fighter pilots robots. We are expanding our weight classes with two additional arenas. 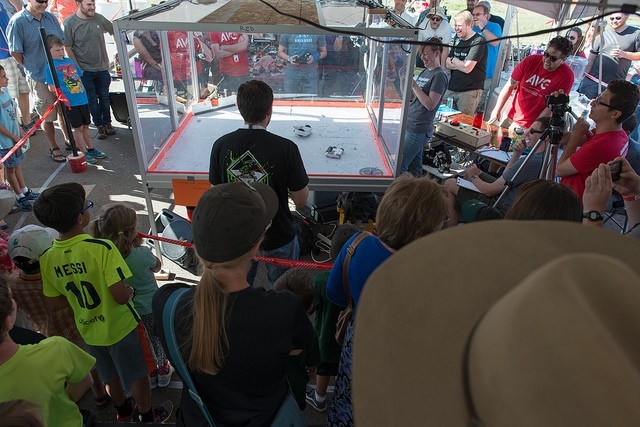 The 3lb bots will get their own 8' x 8' arena this year to give them more room to maneuver. The 12lb and 30lb bots will also get their own arena that's 16' x 16'. It's going to be tons of fun — get it...tons...like, for real, this stuff is heavy! We are going to have an awesome two days! (three if you are registering). If you have any questions, post them in the comments below or get in contact with us. And if you need inspiration to get started building your combar bot for the competition, check out this post I wrote about my journey. 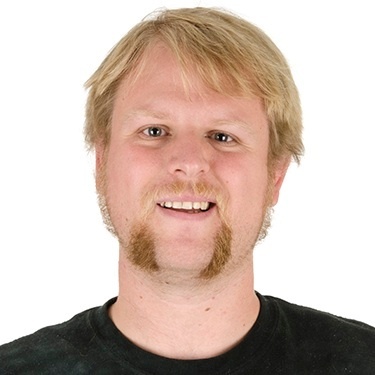 Casey Kuhns is a founding member of Poison Arrow for ABC's BattleBots, and has more than 15 years of experience in robot combat.